To take an existing, dated logo and upgrade it for use in reaching a higher level of clientele. 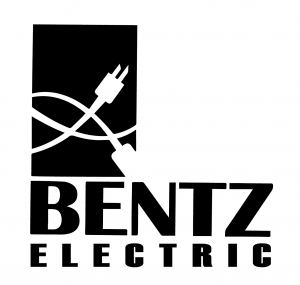 Bentz Electric is a growing electrical services firm specializing in upscale residential installations. A rapidly growing new housing market suffered from a long-standing monopoly of two larger electrical service firms. Bentz Electric needed something a little unorthodox to penetrate this tightly held market. The strategy was to increase awareness that there were other electrical service options in the area. In order to be successful, the approach had to be completely different and unexpected while projecting a contemporary, fresh and credible brand identity. Take a creative approach to an uninspiring graphic element and transform it until it comes alive. Use a high contrast graphic. Making the ordinary extraordinary and helping a business start-up electrify the competition.